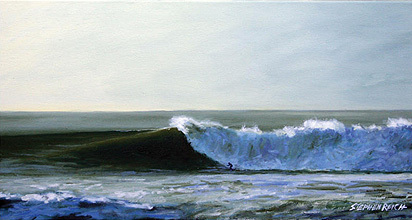 A graduate of the School of Visual Arts (New York City), Stephen Reich is an oil painter specializing in surfing, ocean and mountain scapes. 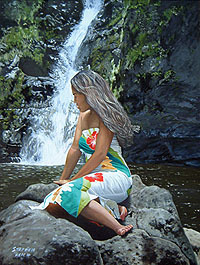 Stephen's style is widely recognized for its remarkable mechanics in color and detail necessary to convey the painting style of realism. 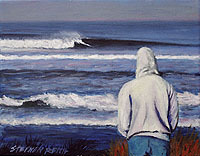 His subjects are usually caught being part of the natural order of the outdoors. 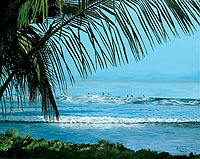 Stephen originally threw himself into the surfing lifestyle in the historical resort town of Cape May, New Jersey. 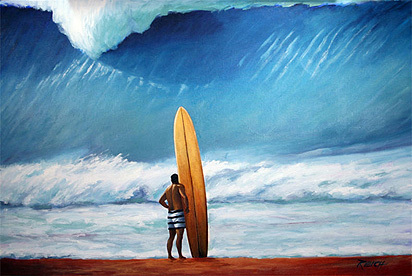 After studying oils in New York and tiring of riding the subway with his surfboard in the Big Apple, he became the Graphic Artist for The Maui News. 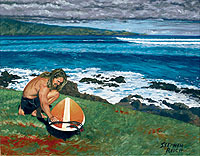 In Hawaii, he focused his surfing energies in the warm Hookipa waters. 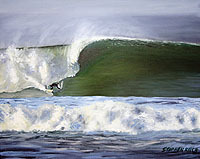 Recently relocating to the Nevada foothills, Stephen has expanded his subject matter to include the mountain scapes of the Tahoe region. 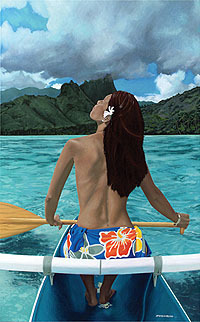 Reich was the overall winner of the prestigious 2004 Poster Contest sponsored by Lahaina Town Action Committee and Lahaina Arts Society for his painting, "Throwing Net." 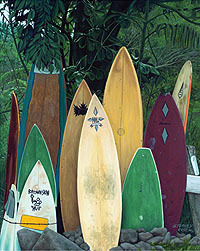 His works are featured in galleries in Hawaii, New Jersey and New York.